The fastest way to expand your business with intuitive and dynamic call scripts. Check out our options and features included. QuickScripts is a drag and drop, workflow based interface that allows users to create and manage call scripts. Call guides are deployed with simple navigation, providing an intuitive method of managing calls. 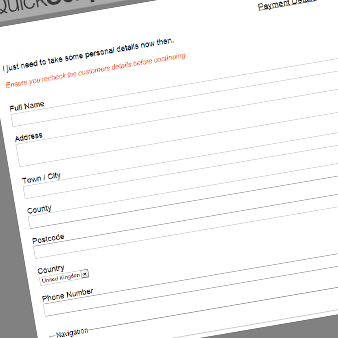 QuickScripts provide 24/7 UK based support for your peace of mind. Integration with reporting provides in-depth and productive reporting. Dynamic scripts allow for improved customer service and increased sale conversions. Full regular expression validation on all form fields for increased data entry precision. Powerful integration with web services, databases and CRM. Drag and drop functionality allows for ease of use and rapid script development. All forms can be manipulated to suit any company or product requirement. Create readily available, reusable scripts for different departments. No need for a vast array of servers to host your call scripting environment, simply a single Windows based server to host your scripts and client machines with a compatible web browser is all you need! Utilising the latest developments in optimised software deployment, QuickScripts boasts an extremely small overhead for hosting your call script solution! Whether you host your own SQL Server farm, or simply run off the same instance, no problem. QuickScripts is compatible with SQL Server 2008 or later servers. Don't have your own SQL server? 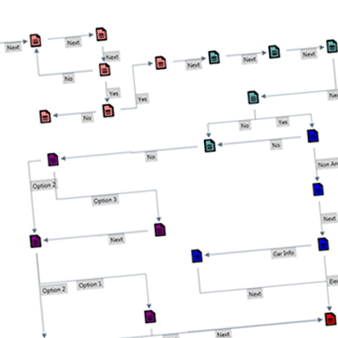 No problem, run your entire scripting environment using SQL Express without any fuss! Request your FREE 30 day trial!